It is a wellknown fact that the Hong Kong population has one of the highest life expectancy rates in the world. Yet it has one of the lowest fertility rates. In simple terms the HK population is getting older and older. The Hong Kong population is aging. The proportion of the population aged 65 and over has increased. 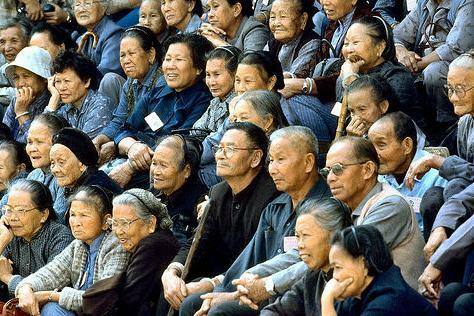 At the mid of 2008, the population of elderly persons aged above 65 is 12.6% (0.88 million) of the total population in HK. It is estimated that in 2016 and 2033, the percentage will increase to 14% and 27% respectively. Our seniors are living much longer than before. In 2005, the population of elderly persons aged 75 or above was around 0.36 million, about 45% of the elderly population. In 2011, the number will increase to 420,000, which is estimated to be 48% of the elderly population. In 2006, life expectancy of male was 79.5 years of age, and the figure for female was 85.6 years of age. In 2033, the figures are expected to increase to 82.7 and 88.3 respectively. In 2006, the elderly dependency ratio is 168, i.e. every 1,000 employed persons has to raise 168 elderly persons aged 65 or above. As the elderly population has been increasing and the birth rate is dropping, the figures are expected to increase to 282 in 2023 and 428 in 2033.